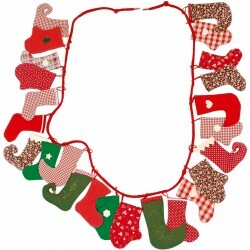 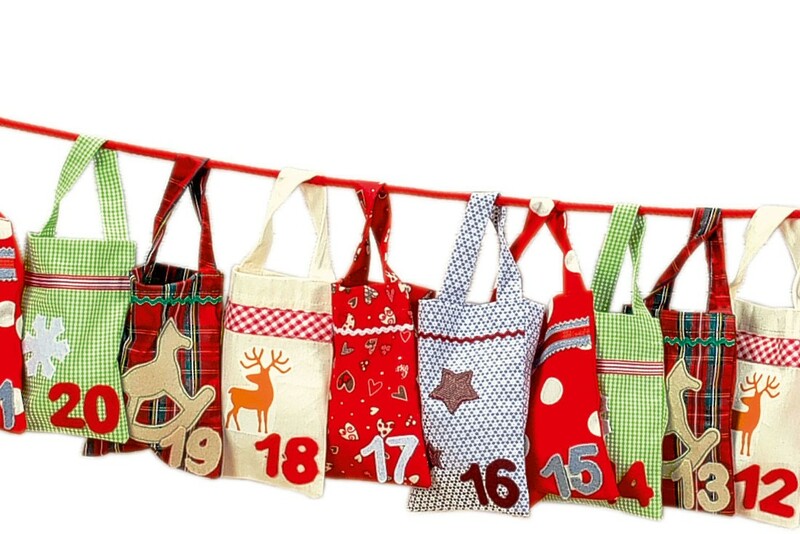 The numbered sacks cloth advent calendar consists of a string holding 24 numbered and seasonally decorated fabric sacks for hiding treats, small gifts, or notes. 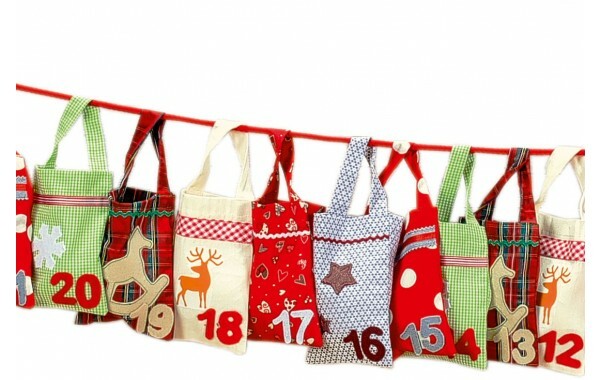 Hang the calendar across a wall or any other convenient space. 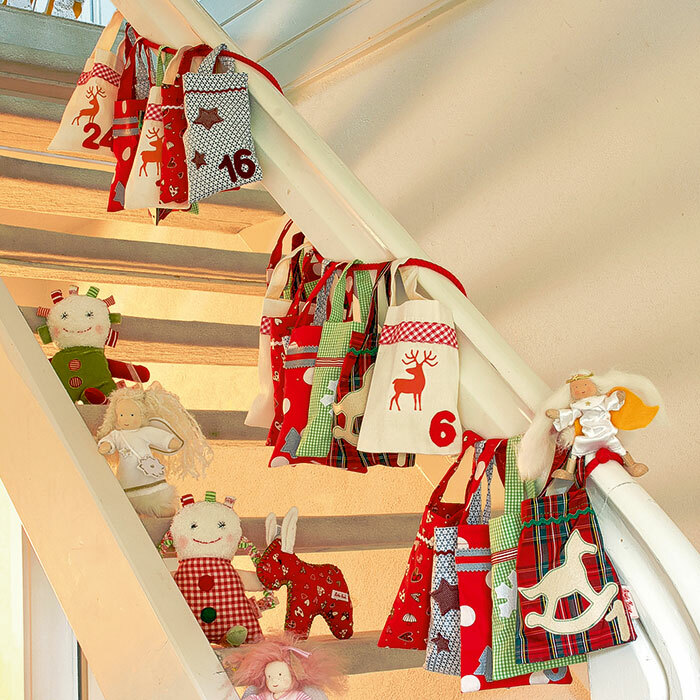 Then children choose one each day to count the days until Christmas! 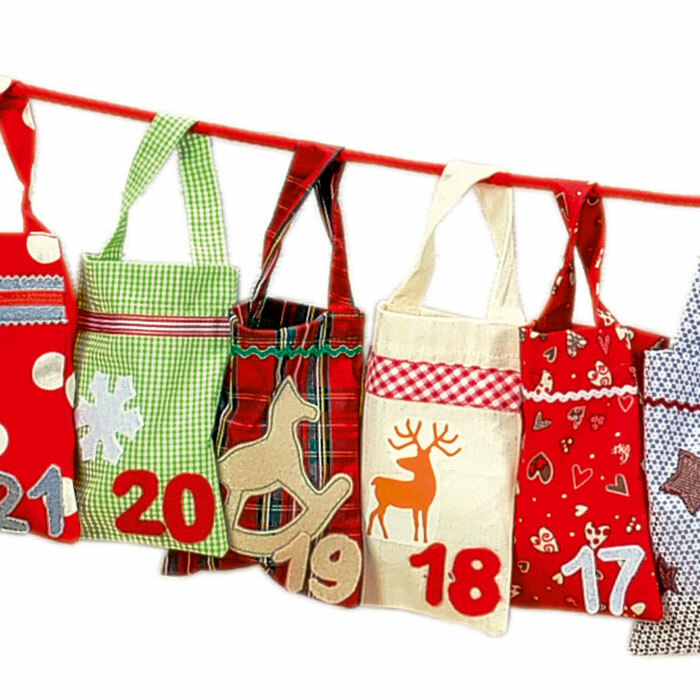 You may open the number that matches the day, or start at 24 so that the number you open indicates how many days until Christmas. 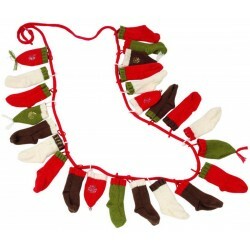 The string is 79 inches (200 cm) long and the sacks are 4 to 6 inches deep (10 to 15 cm). 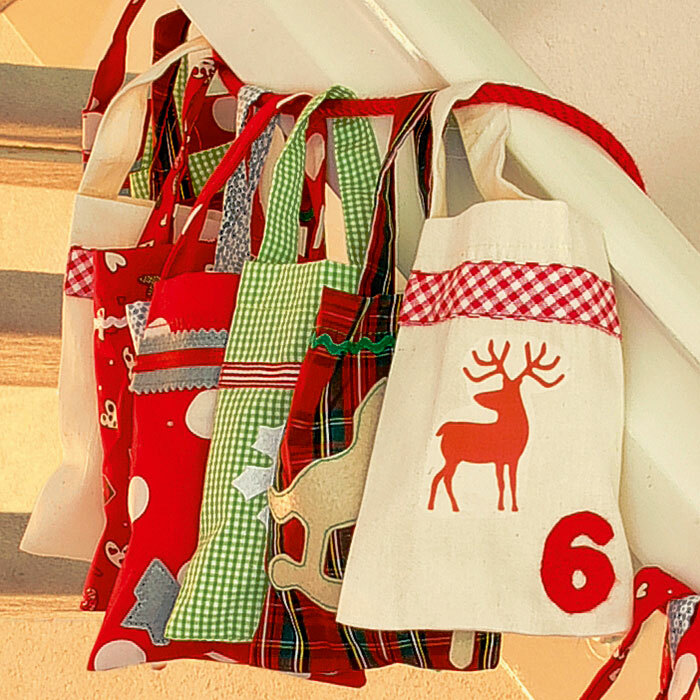 Reuse every advent season for a memorable family tradition your children will love.